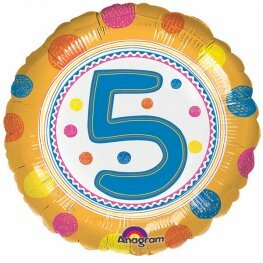 Anagram 18 inch Happy 5th Birthday foil balloon. 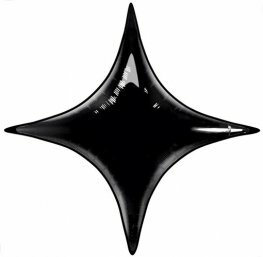 Helium saving of up to 20%. 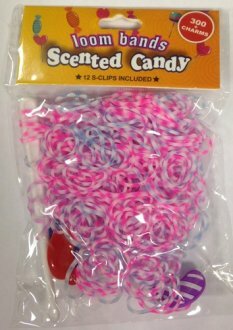 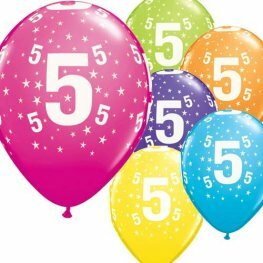 Same quality and same flight time as regular balloons. 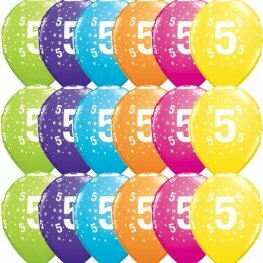 18 Inch Round Spoton Happy 5th Birthday Unisex Wholesale Helium Foil Balloon. 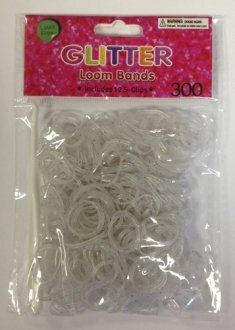 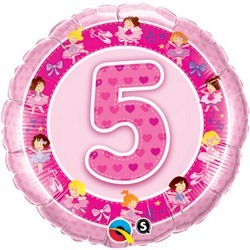 Qualatex Age 5 Girl Pink Ballerinas helium foil balloons 18 Inch/45cm. 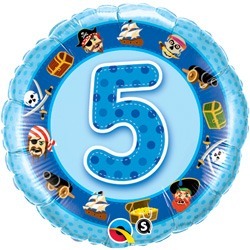 Qualatex Age 5 Boy Blue Pirates helium foil balloons 18 Inch/45cm. 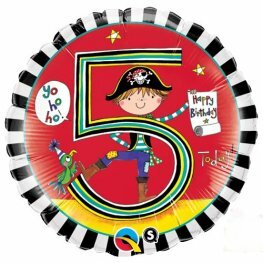 Qualatex Rachel Ellen Age 5 Pirate Stripes 18 inch Wholesale Helium Foil Balloon. 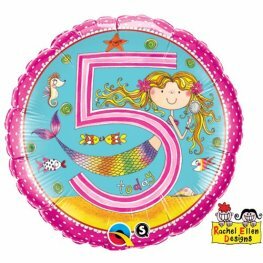 APAC Happy 5th Birthday Girl Fairy 18 Inch Wholesale Helium Foil Balloons. 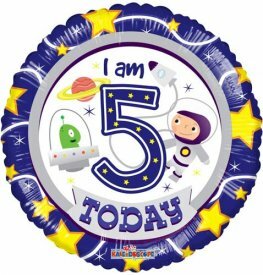 APAC I Am 5 Today Boy Spaceman 18 Inch Wholesale Helium Foil Balloons. 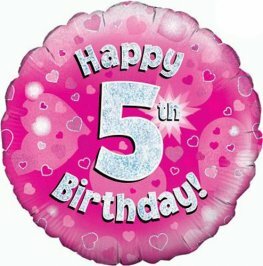 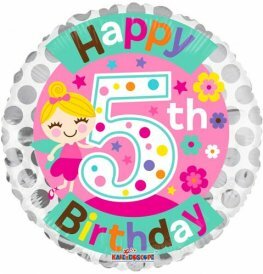 Oaktree Happy 5th Birthday 18 inch pink holographic helium foil balloon.